Supporters of St. Vincent NWR, Inc.
Rock by the Sea, Inc. is dedicated to organizing music festivals and events to raise money to assist deserving charities who provide direct services to those in need. Every Rock by the Sea event is an intimate showcase of music designed to bring people together for the love of music and the common goal of helping these charities. Rock by the Sea is led completely by volunteers, has no employees. It is a community, a family...of volunteers, musicians, charities and fans of music who travel from all over the country to attend these events. All donating their time, talents and dollars in pursuit of making a difference while having a GREAT time. Over 38 states have been represented and just over 80 bands and singer/songwriters have participated in our events or contributed to one of the seven Christmas CDs we have produced. Each event is about more than just the charity. Its about discovering your new favorite band and hanging out with them. Its about talking to people or their parents who have benefited from our efforts. Its about making new friends and bringing your old ones into a community of some pretty fantastic people and talent you don't get to hear on the radio anymore. It does the soul some good. Everyone is happy to be at the event, happy to be a part of it and happy to be able to help. RBTS is in its 12th year with its annual showcase event at St. George Island. The purpose if the charity is to raise funds for children's issues. RBTS has donated over $500,000 to charities since 2007. The 2018 SGI event May 9-13 will have 30 musical acts of songwriters and touring musicians who donate their time. This year's event has fans from 28 states and two foreign countries. RBTS sponsors "Music As A Second Language:" at the Franklin County Public Library. Sponsor opportunities are available. Historic Apalachicola Plat Preservation Inc.
A group of Apalachicola citizens recently formed a not for-profit corporation to advocate for the preservation of Apalachicola, Florida’s historic plat. Historic Apalachicola Plat Preservation, Incorporated, or HAPPI, as it is called, is focused on the proposed Denton Cove housing complex proposed for the area near the old high school at 17th and L.
The Carrabelle History Museum is a project of the local non-profit organization, Carrabelle CARES. It started as an idea of the Carrabelle Waterfront Partnership found in their document, "Charting the course for the Carrabelle waterfront: A Vision Plan". It is sponsored by the Carrabelle History Society and the City of Carrabelle with support from the Franklin County Tourist Development Council with a community partnership from the Franklin County Public Library. It opened in April of 2009. It is staffed by volunteers and funded through donations, memberships and grants. This organization was founded in 1988 by Marie Marshall and others to tackle community projects such preserving precious community assets like the restoration of the gazebo in Lafayette Park, and the Fry-Conter House and bringing prominent traveling exhibits such as the Smithsonian's "The Way We Worked" to Apalachicola. Non-profit group providing fundraising support for the Apalachicola Volunteer Fire Department. The Oyster Cook-Off is our one BIG event. 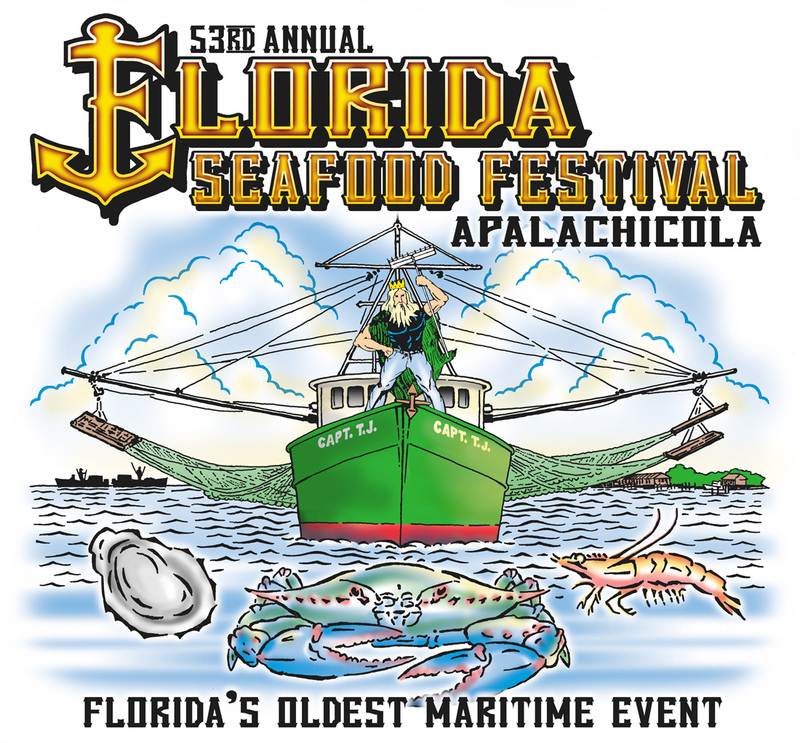 Saturday January 13th 2017 at Riverfront Park in Apalachicola. The Weems Memorial Healthcare Foundation is the fundraising arm for the Weems Memorial Hospital. The Foundation's goal is to develop philanthropic support of Weems Memorial Hospital and to actively support Weems' desire to serve our community and it's visitors with the most up-to-the minute medical technology and knowledge. The Foundation also seeks to improve the community's quality and quantity of life with the preventative teaching and resources for medical information. The Weems Memorial Healthcare Foundation is a 501 (c) (3), tax-exempt, non-profit foundation. All contributions are 100% tax-deductible. Elder Care Community Council of Franklin County, Inc.
E Triple C of Franklin County Inc. is a countywide volunteer organization that is designed to support and enhance existing services for our senior citizens. It was incorporated in the state of Florida in August 2016 and has applied for non-profit status with the IRS. There is no office and no paid staff. About ten years ago, there were thriving elder services in Apalachicola and Carrabelle. No one can say exactly what happened, but in a very short period of time, the services were greatly reduced. Even more problematic, Franklin County was no longer able to find a local "contractor/provider" to deliver funded services. First, we have a volunteer citizen board with representatives from Apalachicola, Eastpoint, Carrabelle, and Lanark Village keeping the focus countywide. We rotate meeting sites between the communities and periodically have special events in each community for volunteer recruitment and information sharing. Second, we recruit volunteers for two specific initiatives. We have a transportation project with volunteers providing rides for appointments, shopping, and other necessary reasons. There is no charge for rides They can be scheduled ahead with a phone call to 850-509-5009. We deliver food from Franklin's Promise (Apalachicola and Eastpoint) to approximately 30 people bi weekly. Lanark Village is in the process of signing people so that they may have food deliveries as well. Eccc provides shopping carts for use at the Apalachicola Food Bank site. We work with Meals on Wheels at Historic Holy Family Senior Center to provide replacement delivery people when needed. Third, we will be engaged in raising funds that can be used for the organizational and individual needs of elders for which there is no other funding source. Bingo and dinner is scheduled and we plan to provide this social activity on a regular basis as well as other activities. Eccc believes that our elder citizens should be served with compassion, dignity and respect. Join us be contacting ecccfranklin@gmail.com or by calling 850-509-5009.